Their Personal Injury team recovers millions of pounds in compensation for accident victims every year. They ensure that their clients have access to justice with the peace of mind of knowing that they wont charge them a penny if their claim is unsuccessful (terms and conditions apply). A dynamic and forward thinking legal firm covering Doncaster and Sheffield. They are very well regarded within the legal sector as one of the most vibrant, well respected firms in the region. They are passionate about providing individual service and connecting with clients on a one to one basis. Although based in Liverpool, Emerald Law operate throughout England, Wales & Northern Ireland. Their team of lawyers specialise not just in knowing the law, but in applying it to suit you. They think it's important that clients have continuity and stability. Therefore the firm assign one lawyer - or a small team of lawyers - to every client. This ensures that the firm get to know you, and that you have a fixed point of contact with them to get to know and trust. They believe this is fundamental to their great service. As a progressive law firm their intent is to grow and develop their range of services to offer legal support for clients throughout England & Wales. Whether you are embroiled in a dispute at work, contemplating a divorce or moving home, their solicitors understand that the law can be confusing when you don't deal with it every day. Their goal is to make the process as straightforward as possible. Their team promise to explain what will be involved in the legal process and always keep you in the loop. 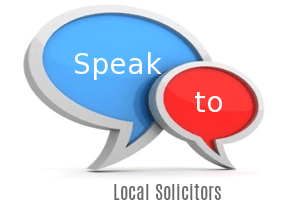 They assist with conveyancing queries on a daily basis. They also have a proven track record dealing with more complex queries such as employment disputes and family law. Almond Solicitors have offices in Droylsden, Heaton Moor and Oldham. If you'd like a confidential chat, get in touch. A debt collection agency for business to business and business to customer solutions including Debt Collection, Credit Control, Door Knocking, and Tracing of Absconders. They also offer same day Credit Check facilities and can perform Terms Health Checks, ensuring your firm's T&Cs give you debt collecting flexibility. With 30+ years experience at their core, DSL are a dedicated collections specialist, with vast experience in a centralised & field collection environment. They have a proven track record of success built on a clear strategy, nurturing top quality people, and ensuring robust performance management is in place and delivered at all levels. Jackson Canter offer expert legal advice across the North West for you, your family and your business. With wheelchair accessible offices in the centre of Liverpool and Manchester, their teams can give you legal advice you can rely on. They make a difference through the practice of law. Bromets are a historic Yorkshire based solicitors practice, providing specialist advice in capital tax planning, trusts and succession issues, Wills and probate, commercial and residential property, family and matrimonial law, employment, litigation and personal injury matters. From their Grade II offices in Tadcaster, their experienced and specialist legal team provide professional services to Yorkshire-based and nationwide clients. Specialist dispute resolution and employment solicitors. National coverage with additional expertise in conveyancing, wills and probate. Accessible by email, telephone and in person, with disabled and wheelchair access. Initial free consultations available, along with no win no fee arrangements in certain circumstances. PM Law has been established since the early 90s and is accredited as specialists by the Law Society, working with many blue-chip businesses as well as helping individuals with their legal needs.